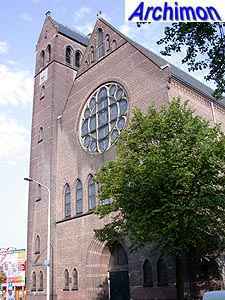 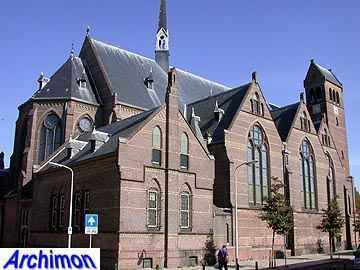 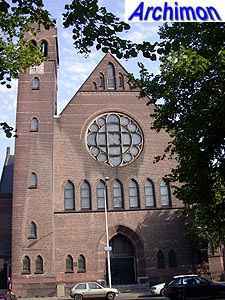 The St. Martha was built as the third catholic church in the Schilderswijk, a workers neighbourhood with, in those days, a large catholic population. 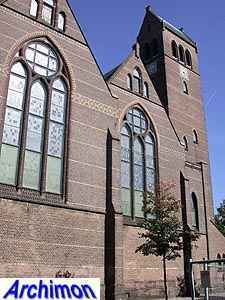 The other two churches were demolished in 1974 and 1975. 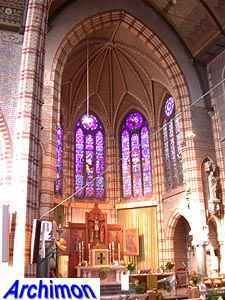 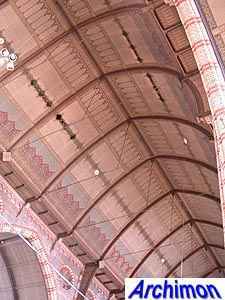 It is a three-aisled hall-church in neo-Gothic style. 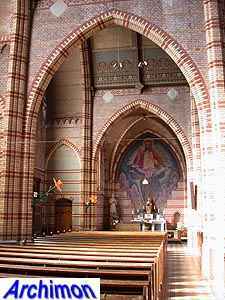 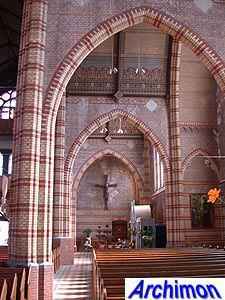 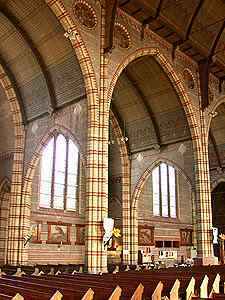 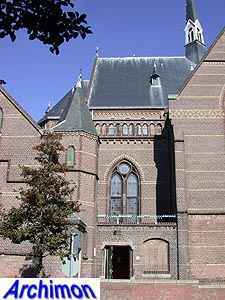 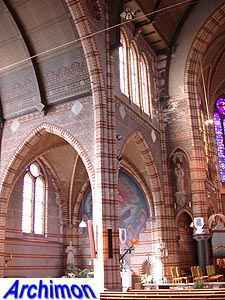 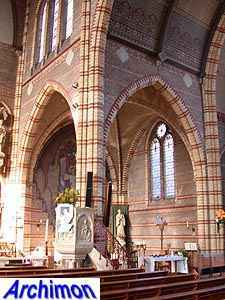 Architect N. Molenaar Sr.'s design was inspired by the Grote Kerk in the center of the city, with wide side-aisles in the form of double transepts. 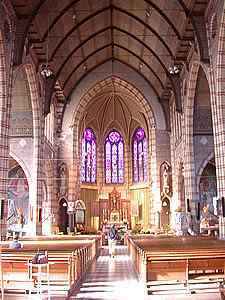 The church was built in two stages. 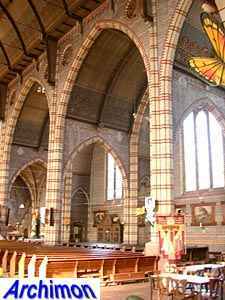 The first part was built in 1908-1909 and comprises the choir, the nave and the side-aisles. 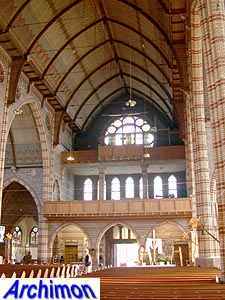 In 1924 the church was completed by the original architect's son, N. Molenaar Jr., who extended the nave with a trave, less wide than the others, and added the front and the tower. 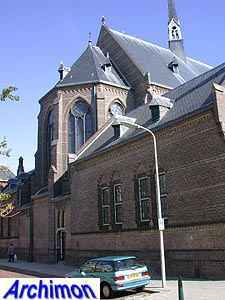 Although these parts had been part of the original design, they were redesigned by Molenaar jr. in a more moderate neo-Gothic style with a few hints of Traditionalism, especialy the saddle-back tower.